These pieces are more than just something to look at. They represent a specific part of our client’s story, something special about life at that moment they want to remember. And those are the pieces we want to make sure are front and center in the designs we create for our clients. 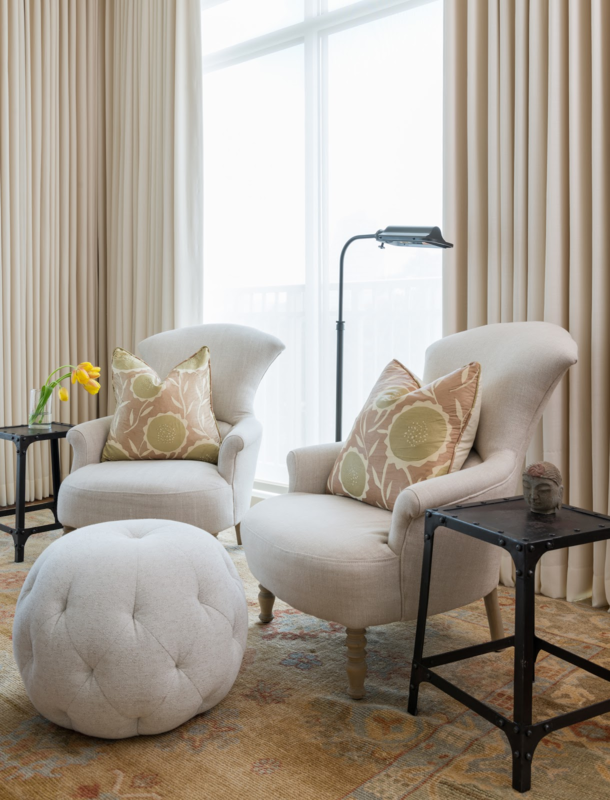 Today, I’m excited to share this Indo-Asian collected high-rise space my team and I recently designed for a wonderful couple in Houston. 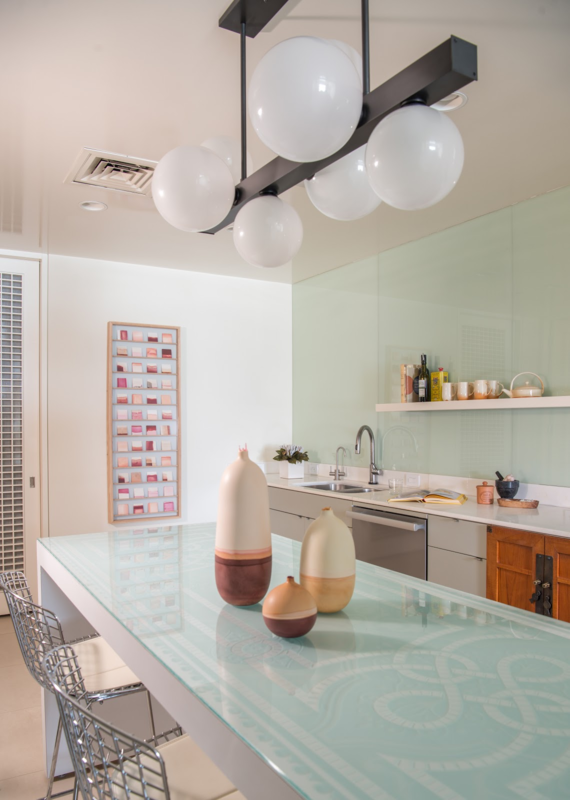 Though the space had been beautifully renovated 10 years ago and had lots of wonderful details, the clients wanted to freshen up their home and use the space to show off their collection. 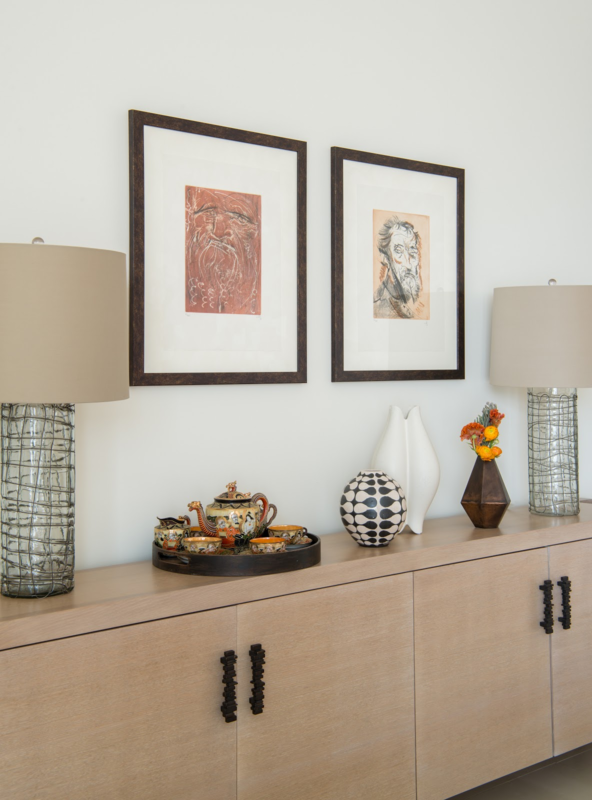 Our goal was to create a fabulous looking interior using multi-purpose furniture that made great use of the tight space, highlighting pieces they collected on their extensive international travels. 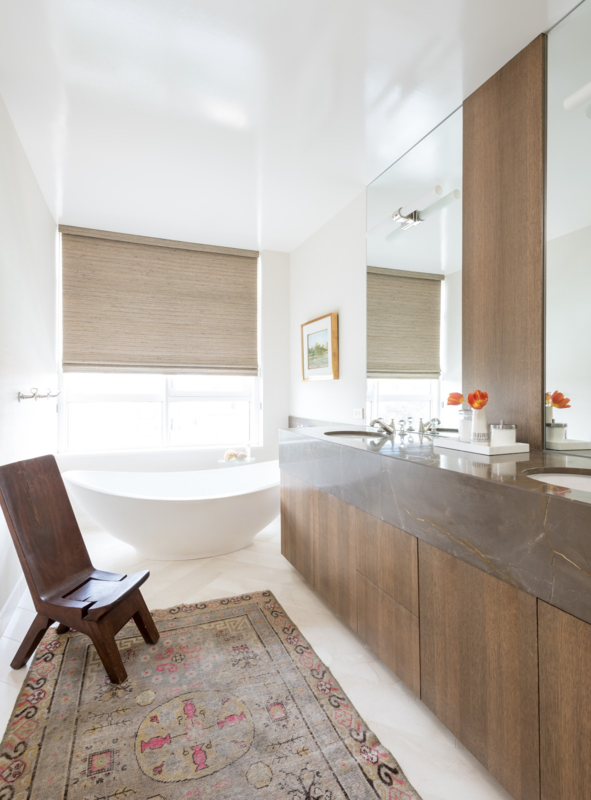 The home’s color palette was a mix of warm tones of Sienna, terracotta, and creams, reminiscent of desert sunsets. 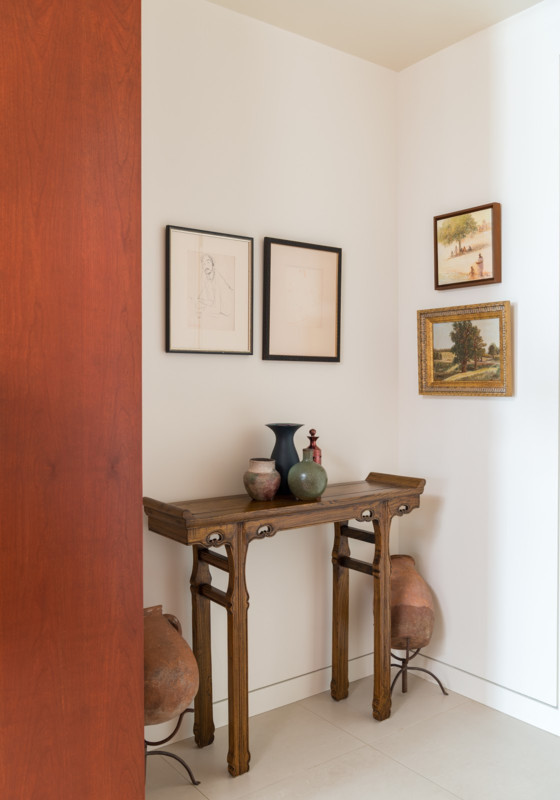 Our client’s impeccable style, red hair, pale complexion, and their Spanish and Indian nationalities inspired the home’s color palette. 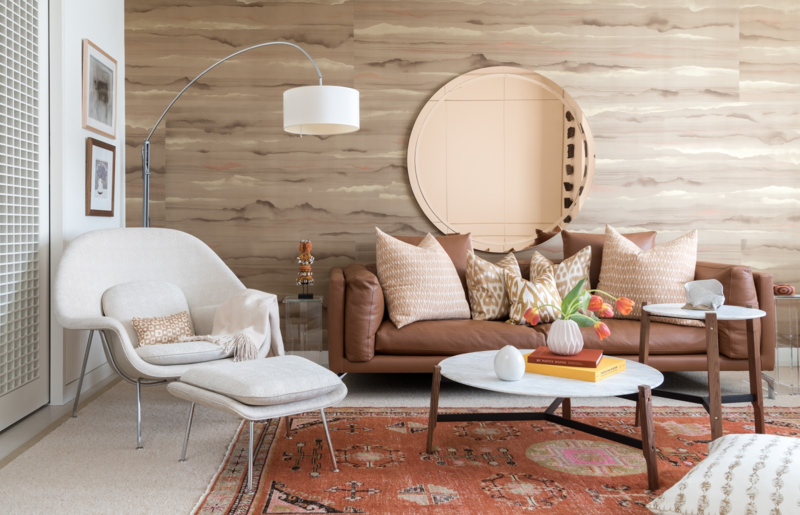 The team chose to use a in the den to create a statement wall – so gorgeous! 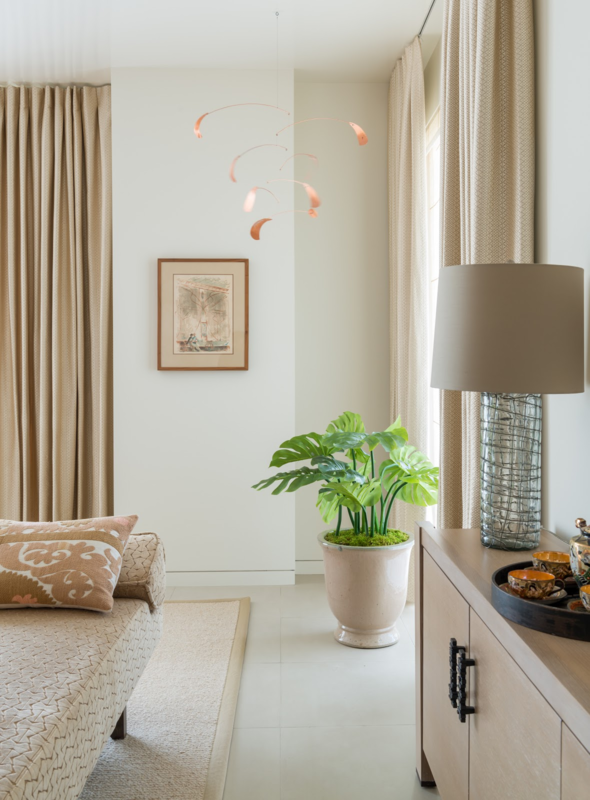 And we mixed in textiles, accessories, and art from the clients’ own collection to create a collected, worldly interior. With limited space, each room needed to serve multiple functions. 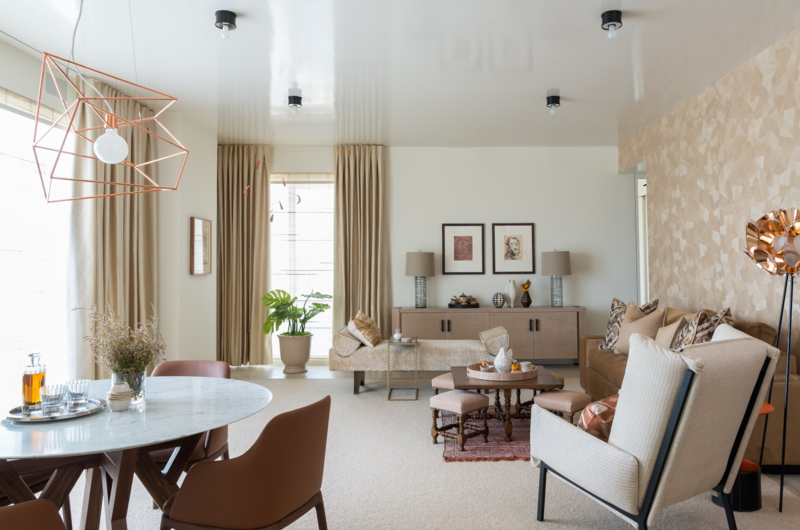 After the team inventoried the client’s existing furnishings, art, and collections, we were able to put together a plan for how to maximize the space. 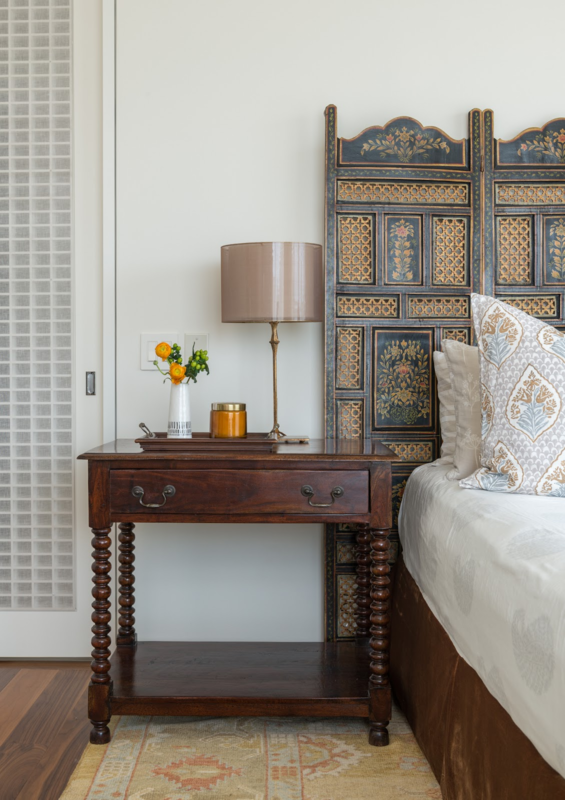 The converted den was designed to serve as a study, as well as a guest bedroom with a gorgeous (yet hidden!) sleeper sofa. And the living space was designed to serve as a dining area and living room. Each choice the team made was intentional in terms of scale, proportion and finish. 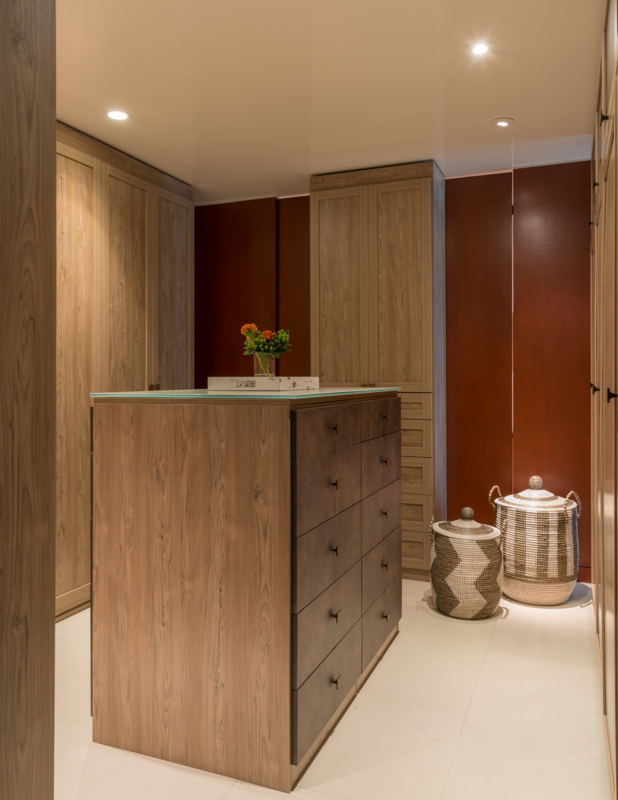 The most challenging space to design was the client’s dressing room. Originally a little sitting room, the space floats in the middle of the home and has multiple access points. So we custom designed a closet that would allow give them a closet they could both use. 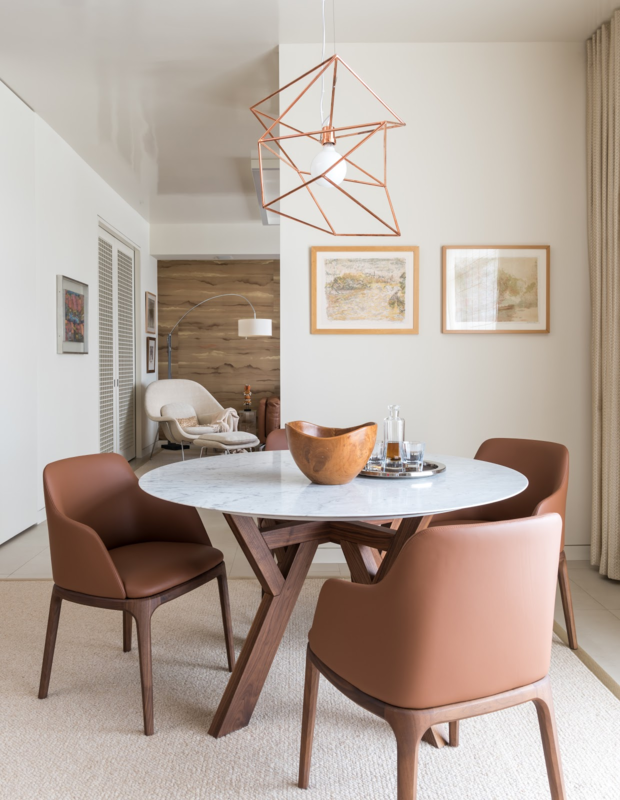 This newly renovated collected high-rise is the perfect blend of mid-century, antiques, and our client’s favorite pieces. It’s a space that really shows off their beautiful collection and they were “over the top happy and satisfied” with how it turned out! For more behind the scene photos of what my team and I are working on, .